The Raleigh-based nonpartisan organization — which is focused on improving educational outcomes for North Carolina’s children — also took a swing at state lawmakers who’ve slighted public education. Fox made her comments during the Forum’s annual 2019 Eggs & Issues Breakfast at the Marbles Kids Museum in Raleigh. The program was attended by dozens of educators, policy makers and public schools advocates who braved the morning chill to attend the sold-out event. Renewing the state’s commitment to public schools was No. 1 on the organization’s annual list of the Top 10 Education Issues facing the state. Fox said public schools are one of only a few institutions that brings citizens together across racial, cultural and economic lines. Poston noted that North Carolina, with 568,000 rural students, has the second largest population of rural students in the nation behind Texas. He said state lawmakers must figure out how to boost funding levels for rural, low-wealth school districts that have trouble retaining teachers and providing students with challenging Advanced Placement (AP) courses. The Forum recommended focusing more attention on the recruitment and retention of rural teachers and addressing the broadband access gap for students in rural districts. Addressing the “persistent racial inequities” and the resegregation of public schools also made the list at No. 3. “Our state’s more racially diverse than ever now and at the same time our schools are becoming increasingly segregated and unequal,” Fox said. Fox noted that when she attended Charlotte-Mecklenburg Schools (CMS), the district was known as one of the most successfully desegregated districts in the country. “Now it’s one the most segregated districts in the state, and one of the fastest resegregating districts in the country,” Fox said. 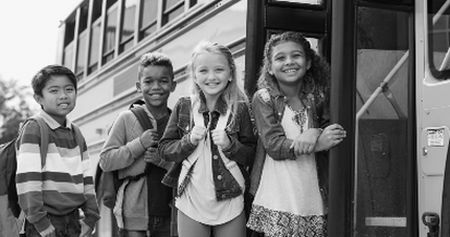 School choice, an explosion of charter schools in particular, is often cited as the reason for the resegregation of North Carolina’s schools. The Forum also called on the state to strengthen charter school, private school and voucher transparency. “Until lawmakers provide robust financial oversight and a vehicle for the public to understand whether students who receive vouchers do better academically, we believe there should be a moratorium on increased voucher funding,” Poston said. The controversial state letter-grade system also came under attack in issue No. 7, which focuses on eliminating the stress and stigma associated with testing. The letter grades have been controversial because critics contend too much of the grade – 80 percent – is weighted toward proficiency on state tests and only 20 percent toward growth. “In the past we’ve argued for revising the formula to put more focus on growth, but at this point, the system has caused so much stress and stigma for schools that we’d rather eliminate it all together,” Fox said.